Tyndall AFB Contracts in Jeopardy after Michael? Tyndall Air Force Base, based in Panama City, sustained heavy damage when Hurricane Michael reached Florida without much warning. What does this mean for federal contractors who currently have contracts with Tyndall AFB? Per EZGovOpps records, there are currently 148 ongoing contracts with a value of 5.6 billion that expire in the next three years. 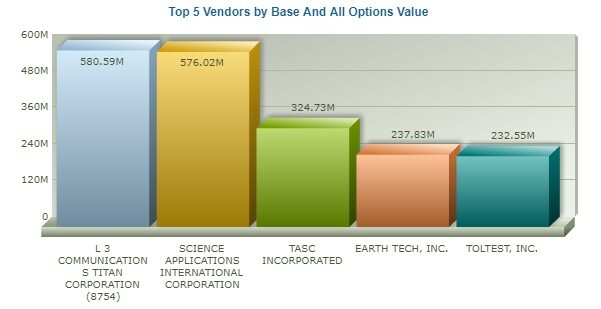 Vendors like L3 Communication, Science Applications International, and TASC are likely concerned that these current contracts would be continued during the rebuilding process. With the temporary base closure, many of the ongoing contracts will not occur onsite at Tyndall AFB. Most likely critical services will be transferred to other bases. Obviously, there will be many new contracts that will come about from debris cleanup, design/build, engineering, and construction in the near future. The estimated replacement value of the full facility would be $3.4 billion, as stated in an unclassified Economic Impact report released in 2017. Given the scale of the damage, it would not be surprising to see contracts reach that magnitude of spending to return the base to a fully operational level. EZGovOpps will be monitoring these upcoming contracts. These opportunities are expected to be released quickly due to the necessity of having Tyndall AFB back up and running within the next year due to its critical location near the Gulf of Mexico.